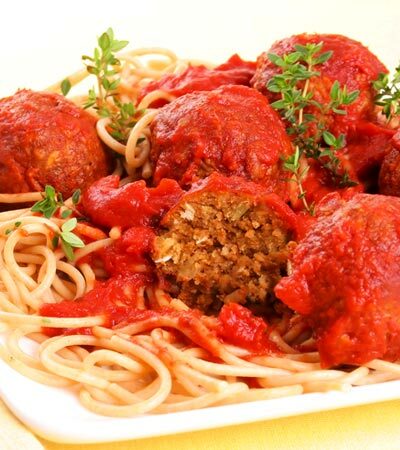 These vegan meatballs are isolated soy free. They make a great companion to your favorite spaghetti dish or try them in a meatball sub. 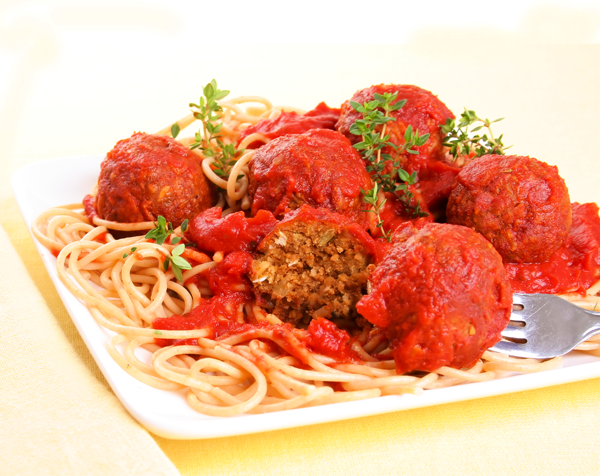 Three large meatballs only have 8 grams of fat, not bad when you consider they can be eaten with a fat free pasta and tomato sauce. Want to know what others thought about this recipe? Would you like to comment on this recipe? Go to the Vegan Meatballs (Isolated Soy Free) blog entry. Mix ingredients together in a bowl. Measure out 2 tablespoons of mixture for each meatball and roll into a ball with your hands. Spray cooking sheet and place meatballs on it. Place into oven and cook 15 minutes on one side and roll over and cook 15 minutes on the other side. After they are out of the oven, let stand for about 10 minutes to allow them to firm up.